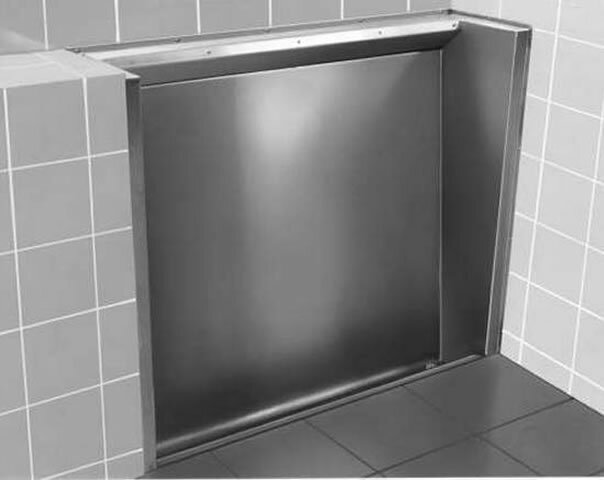 SDS floor recessed urinals are manufactured as one piece units from 304 grade stainless steel 1.2mm thick, with a smooth satin polished non reflective surface. 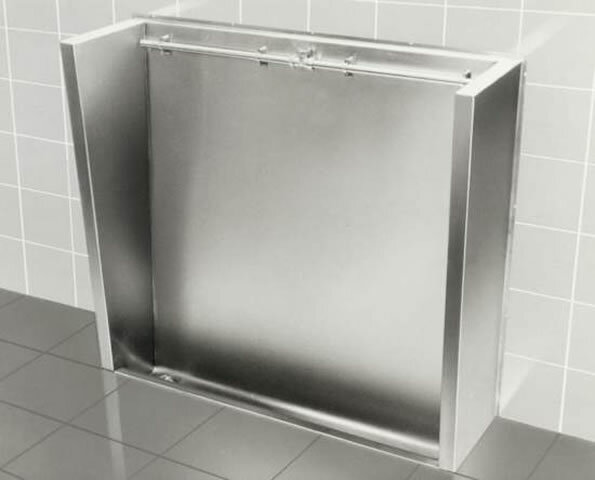 The horizontal flushing sparges have a top entry inlet as standard and are supplied exposed, or alternatively concealed within a stainless steel box for high risk areas. Floor recessed urinals are supplied with wall fixed or free standing ends, a central plastic automatic flushing cistern, stainless steel downpipe, 50mm (2" BSP) waste fitting to left or right hand end, downpipe clip & stainless steel fixing screws. Delivery time is usually about 5 working days from order with free packing and carriage to the UK Mainland.